Why were postcards so widely used? In the late 19th century and for much of the 20th century, long before the invention of Facebook, postcards served much the same purpose that social media serve today. 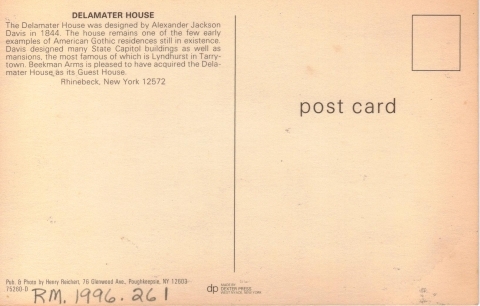 Postcards were a convenient way for friends or family to tell each other what they were doing, to show where they had been, and to communicate brief messages. They were the medium to use to keep each other up to date, especially if one didn’t have the time to write a letter, and postal rates have always been less for a postcard than for a letter. What’s the best way to view these postcards? We are presenting the actual postcards through a database of records with information fields and a link to the actual postcard. 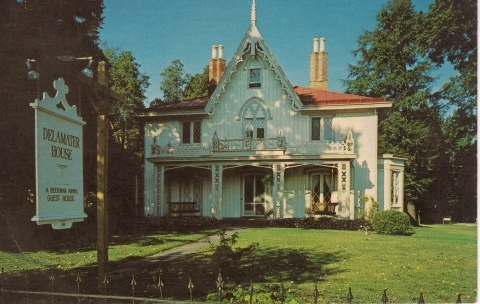 The postcards presented here on the Consortium website are mostly of scenes in Rhinebeck. A few are of scenes in neighboring Red Hook. We are also including the back sides of the postcards. The database is structured as a finding aid. The MEDIA LINK takes you to the actual postcard images.